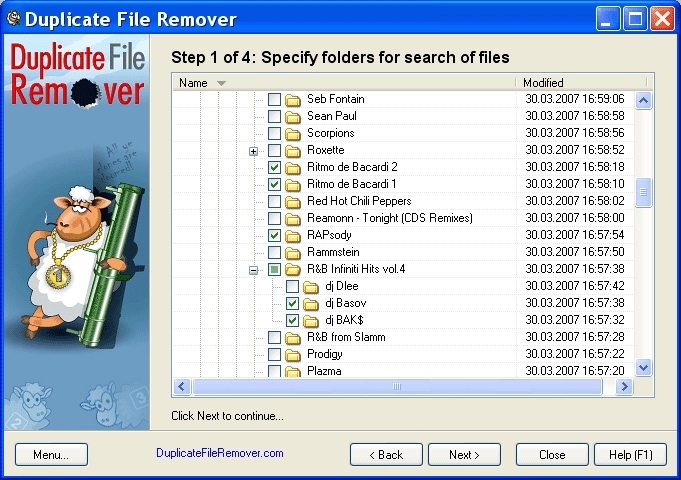 Duplicate File Remover is a powerful tool to locate file duplicates on your computer (dedupe). It scans the computer and lists duplicate files based on Byte for Byte Comparison which ensures 100% accuracy. It can find duplicates of any files: text binary music video or images. For multimedia files (MP3 OGGVorbis WMA) the contents of the following tags can also be analyzed: Artist Album Title and Comment. The file Summary property can also be searched: title subject category and author. Duplicate files can be deleted hard-linked or moved. The list of duplicate files can be sorted exported to an HTML report and acted upon.You may not realize how many duplicate files you have on your computer after numerous downloads from the Internet or scattered over your home or corporate network. Duplicate files are in most cases redundant and unnecessary so keeping them is merely a waste of hard disk space. Your hard drives may be full of extra copies of documents MP3s photos and videos waiting to be removed. 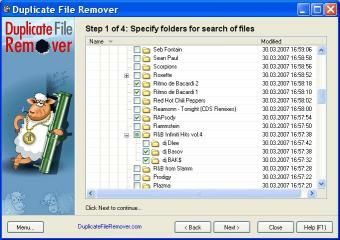 Duplicate File Remover will help you reclaim valuable disk space and improve data efficiency.